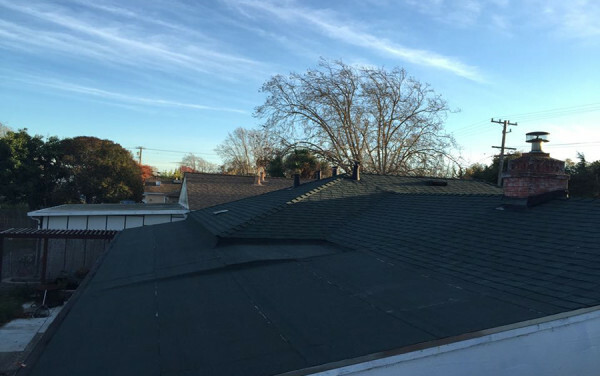 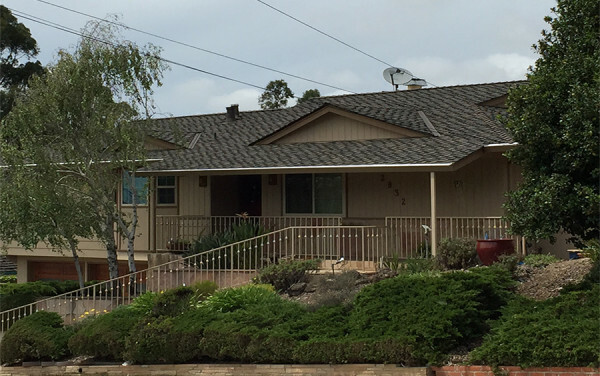 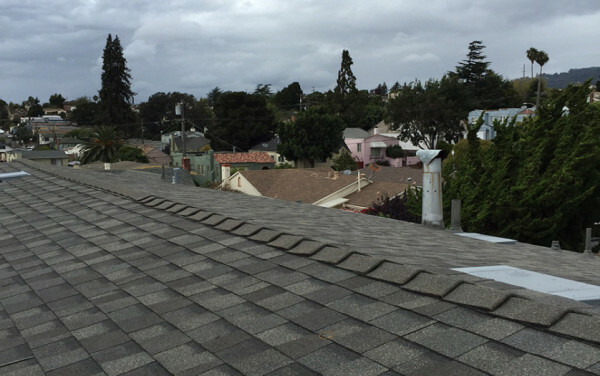 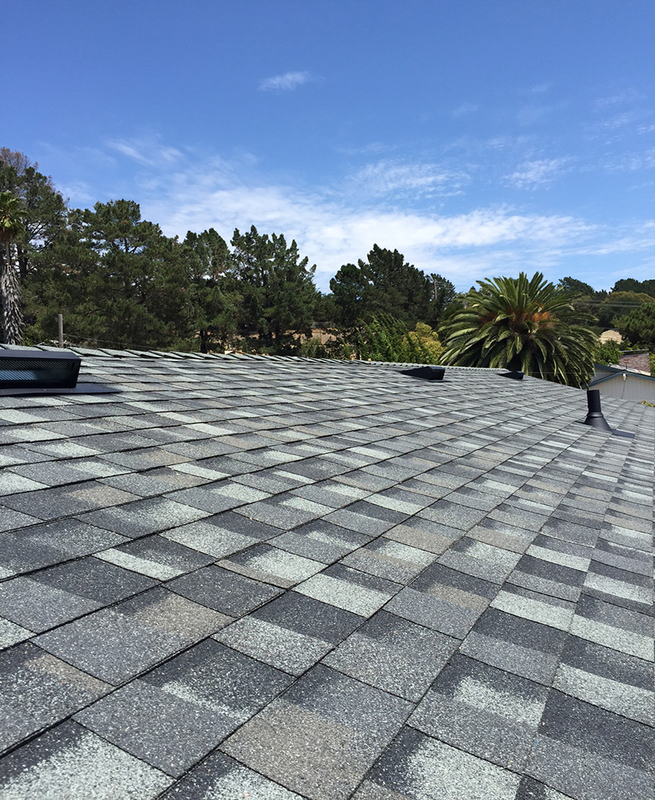 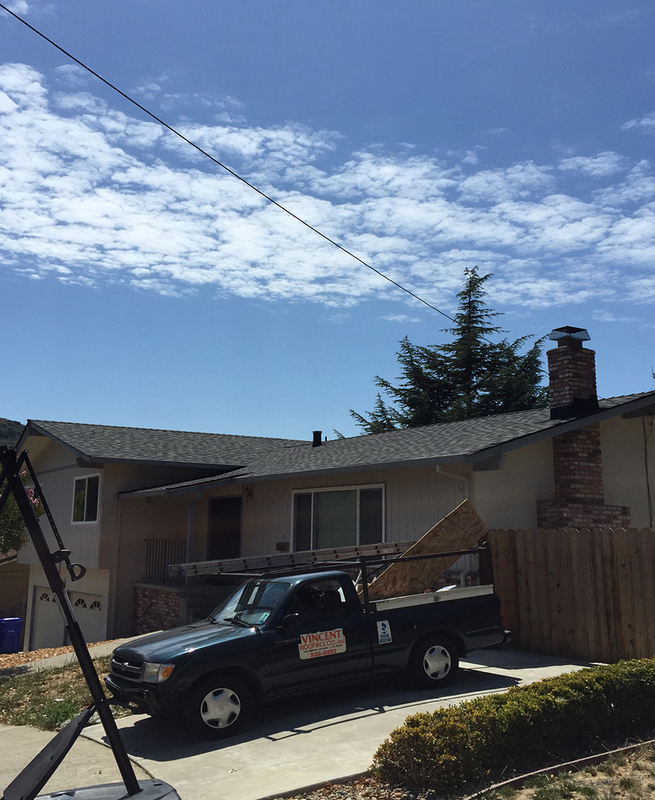 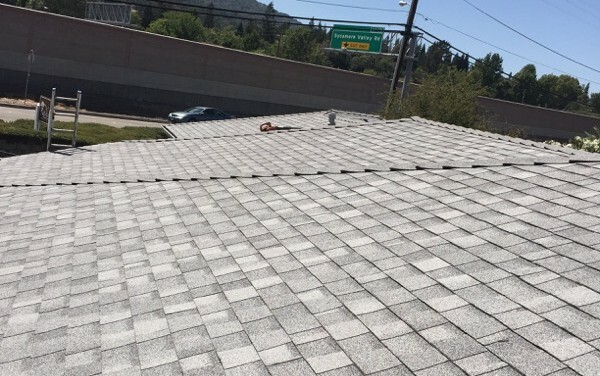 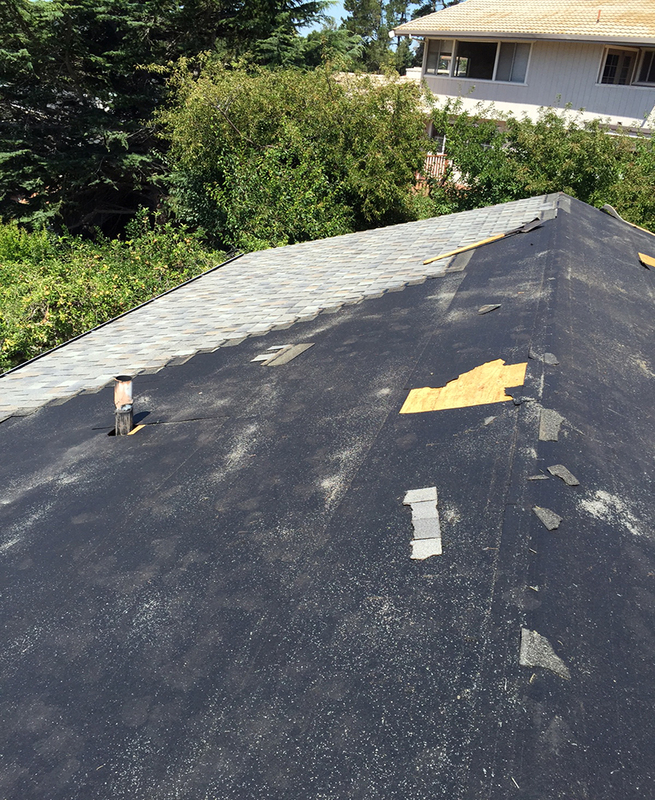 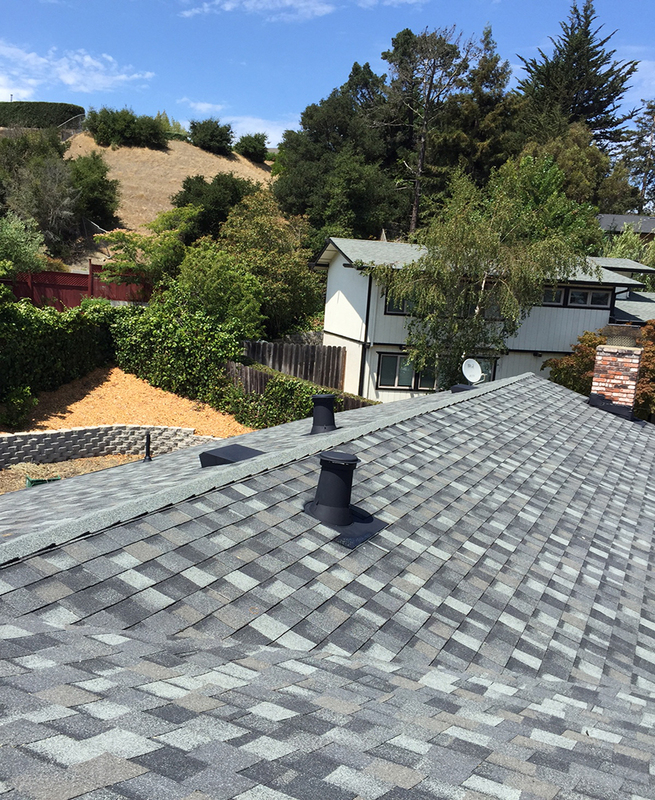 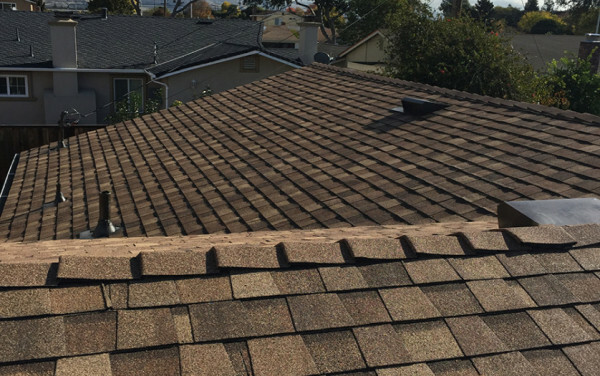 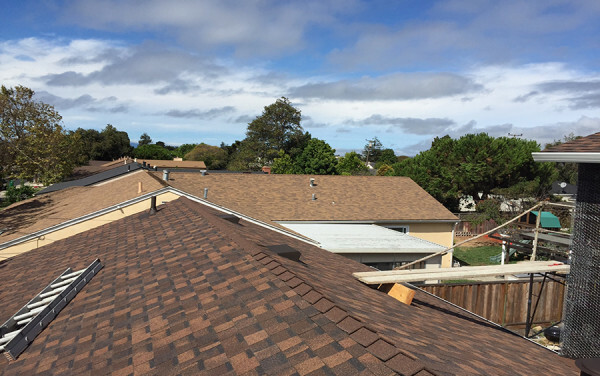 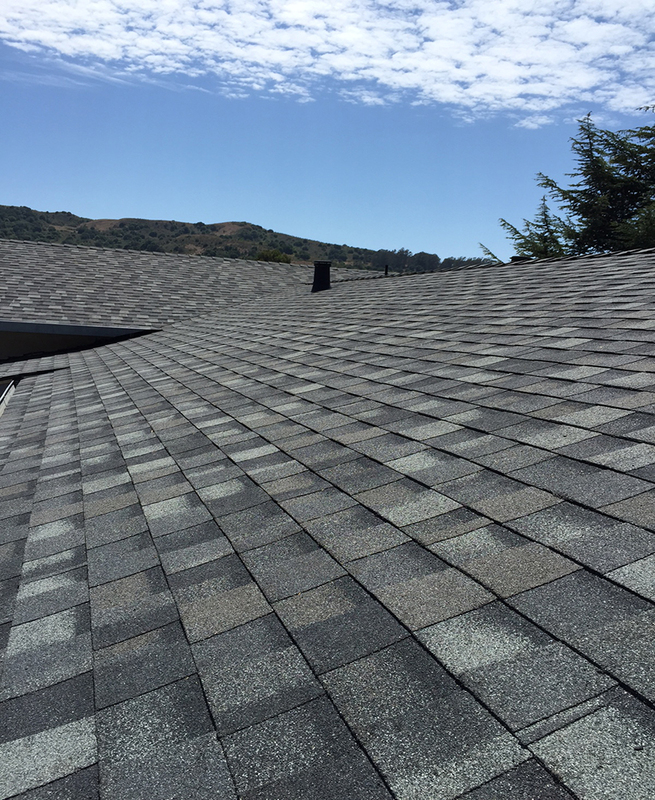 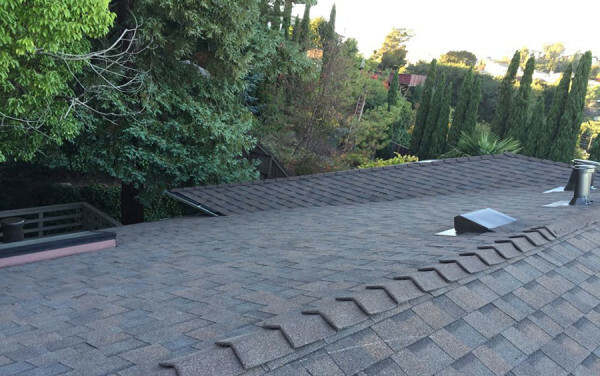 This house in El Sobrante had a roof that was approximately 20-years-old, with countless staples that were emerging from the roof covering and cracks that were beginning to spread across the shingles. 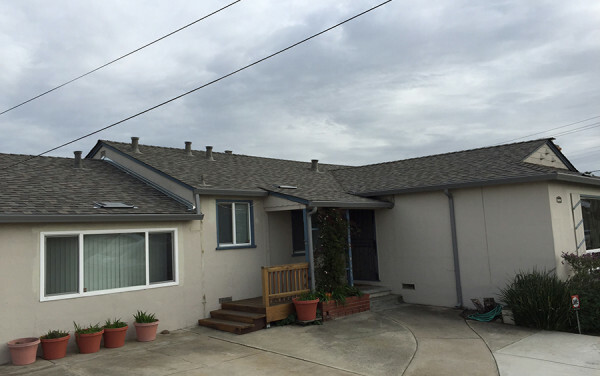 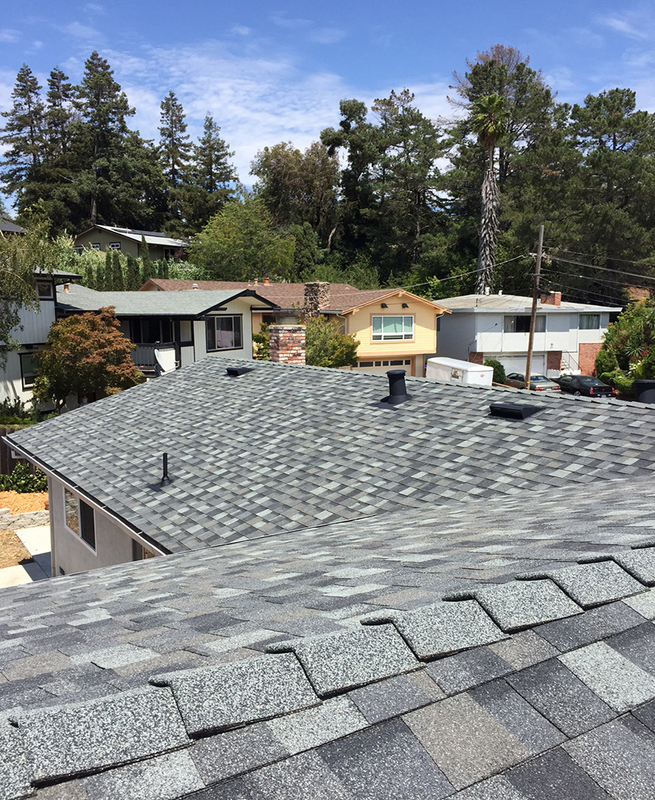 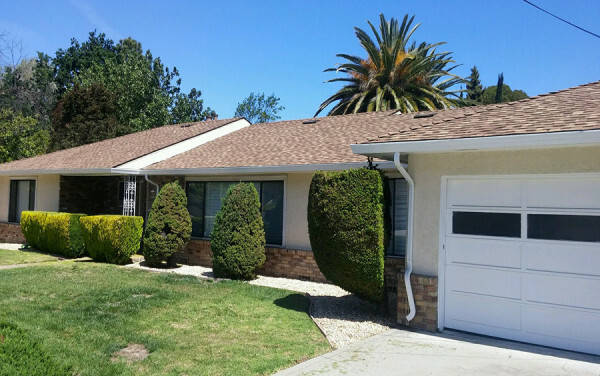 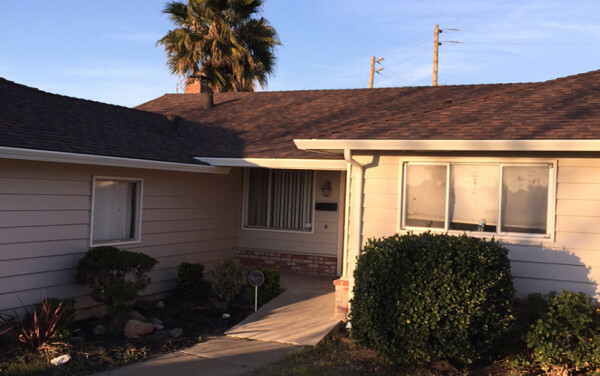 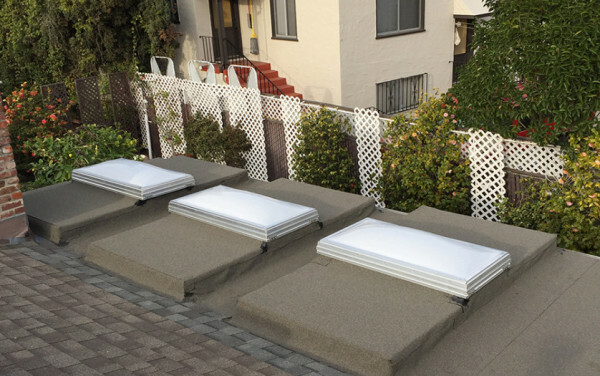 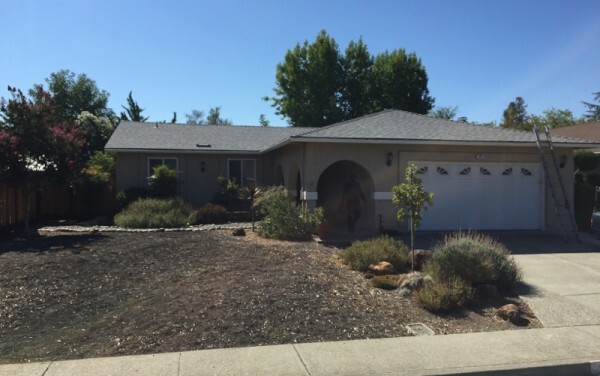 Now it features 2500 square feet of brand new heavy duty Landmark Thunderstorm Grey colored shingles by CertainTeed. 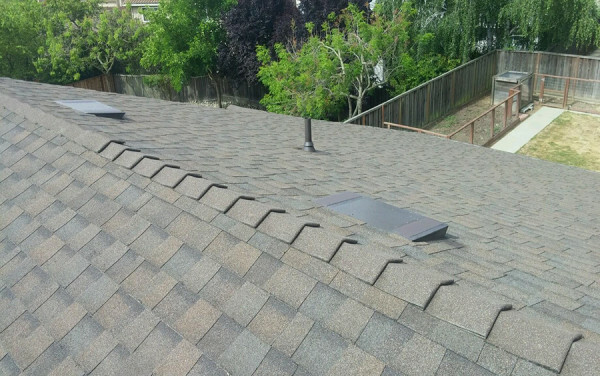 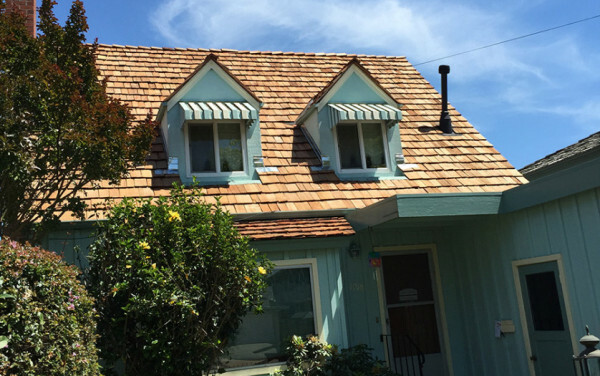 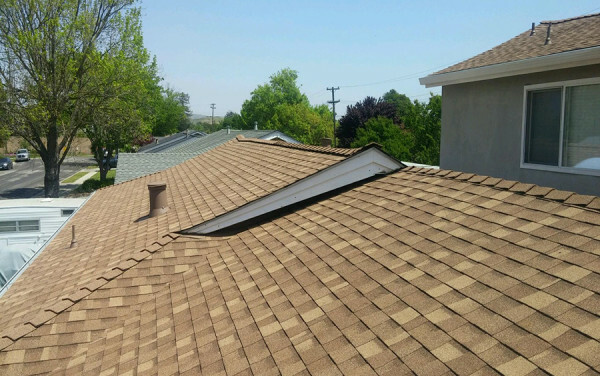 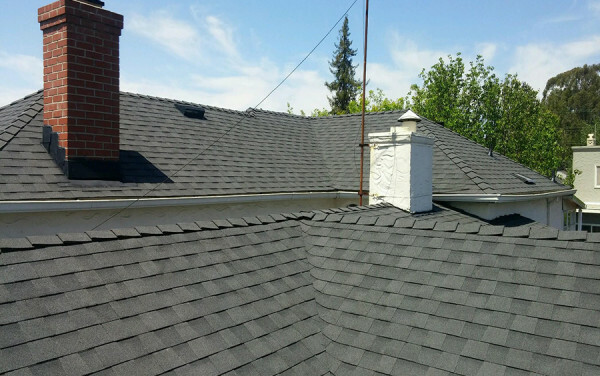 An attractive roof such as this can certainly be affordable. 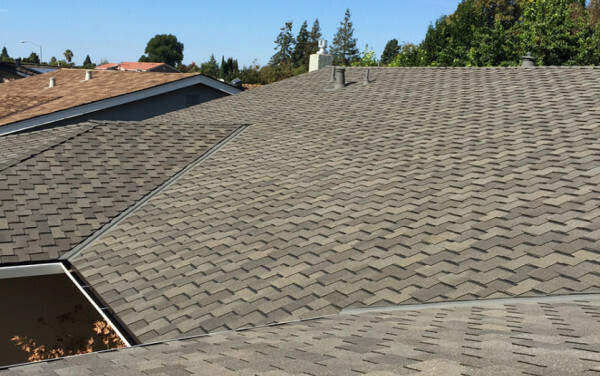 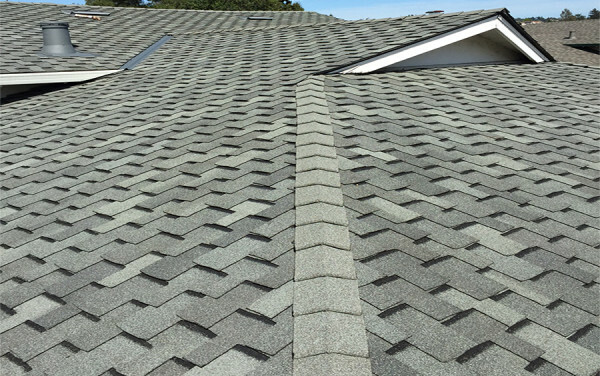 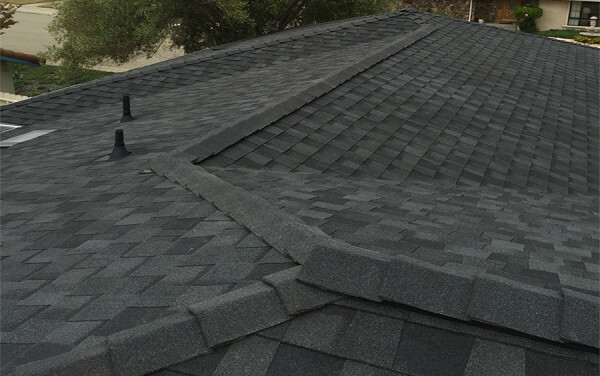 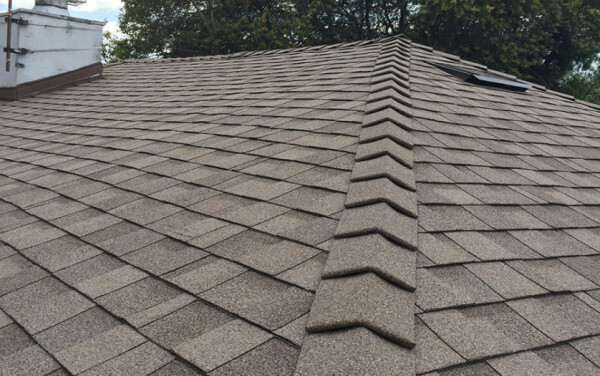 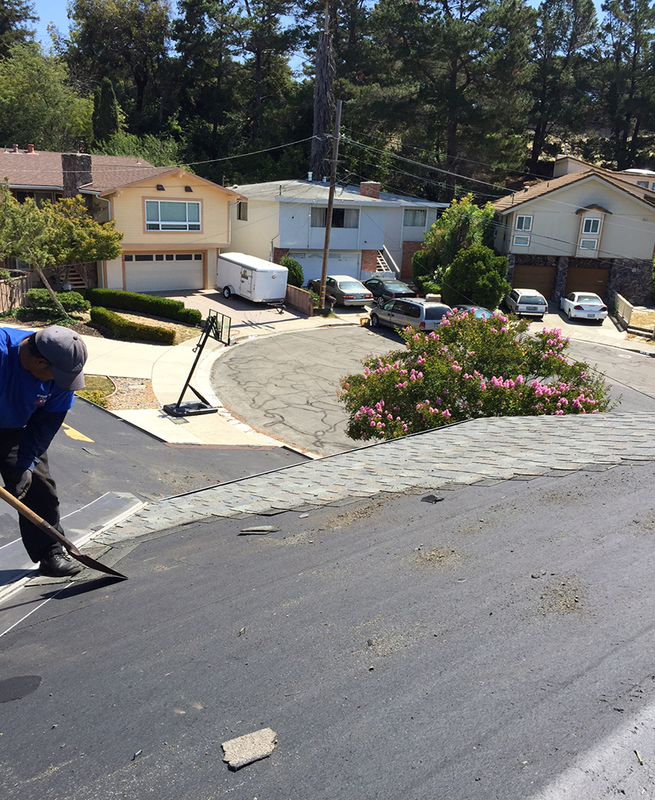 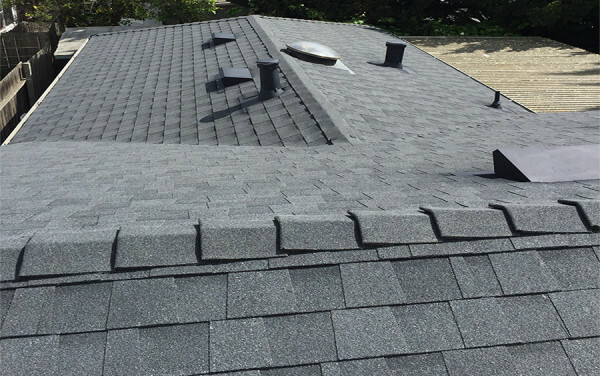 Landmark is the first level of CertainTeed’s high quality designer shingles that offer decades of leak protection. 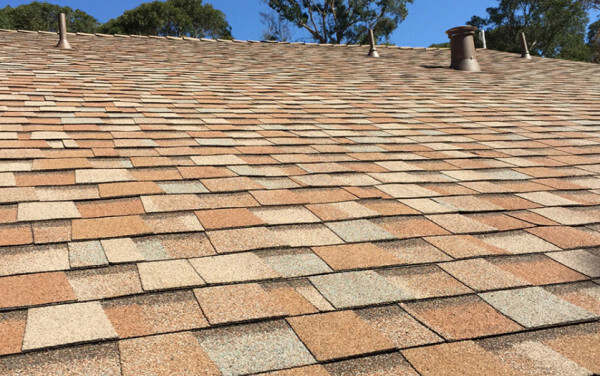 Composition shingle roofs last approximately 25 years. 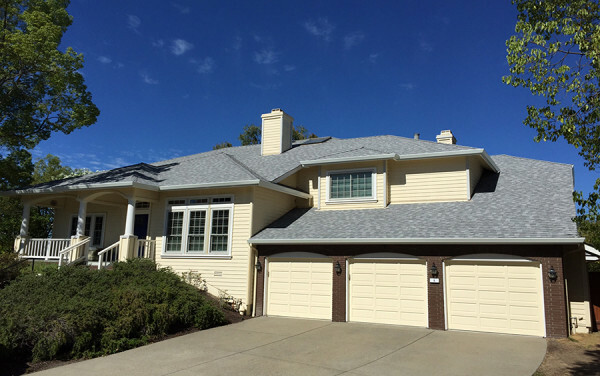 They are investment with which you can certainly be satisfied.